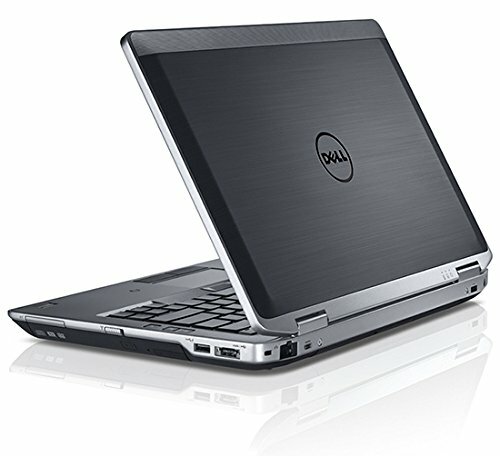 Dell Latitude E6320 Notebook PC – 2nd Gen Intel Core i5-2520M 2.50 GHz, 4GB DDR3, 250GB HDD, DVD-Rewriter, WebCam, WiFi, Bluetooth, 13.3″ LED Display,Included Free: ESET Internet Security (1 User – 400 Day License), Genuine Windows 10 Professional 64Bit preinstalled w/COA license + Recovery Tools (to repair or reinstall Windows back to factory settings or to create a system recovery USB Flash Drive), Office Package included: 30-day trial of Microsoft Office 365A Certified Refurbished product has been tested and certified to look and work like new. The product is backed by a minimum 1-year limited warranty, and may arrive in a generic brown or white box. The product ships with all relevant accessories excluding headphones, manual or SIM card. Accessories may be generic and not directly from the manufacturer.